advanced mentoring and finally the top three projects will be selected for further mentoring at T-Hub. REC Foundation has committed Rs. 2.55 crore to T-Hub for the programme, said a statement issued by the PSU. The objective of the programme is to raise the level of education in India to global standards and to enable students with 21st century competency skills for delivering innovation. It will encourage students to become active learners, who can apply their knowledge to understand the benefits of innovation in renewable energy to develop novel applications and promote its use in their surroundings. Dr. PV Ramesh, CMD, REC and Jay Krishnan, CEO, T-Hub signed the Memorandum of Agreement (MoA) on January 29 in Hyderabad. 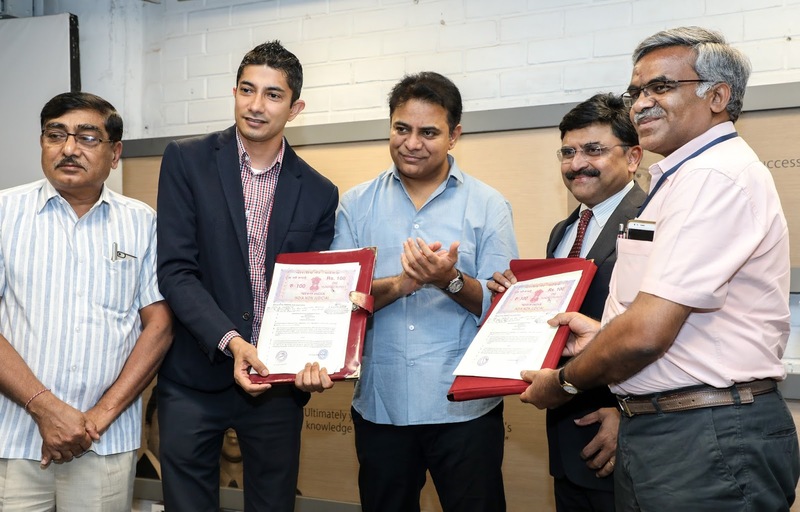 Telangana IT Minister KTR Rao, who was present at the signing ceremony, expressed his support for the programme stating that it will promote industry-academia partnerships. REC, a Navratna PSU under the administrative control of the Ministry of Power, came into being in 1969, is a leader in providing financial assistance to the power sector in all segments, be it generation, transmission or distribution. The Rs 30,000-crore PSU has been appointed as the nodal agency by the Government of India for implementation of DDUGJY (Deendayal Upadhyaya Gram Jyoti Yojana), a scheme which aims at providing 24x7 sustainable and affordable power to all households in the country. It has also been entrusted with the responsibility of being the coordinating agency for rolling out UDAY (Ujwal Discom Assurance Yojana) which seeks to operationally reform and financially turnaround the power distribution companies of the country. Its two subsidiaries – RECPDCL (REC Power Distribution Company Limited) and RECTPCL (REC Transmission Project Company Limited) work in tandem with it to realise its shared mission by providing consultancy services in distribution and transmission sectors.